Lagos, Nigeria; September 09, 2013: A lecturer from the Benue State University, Ode Egena, has emerged winner of the 2013 Young Managers' Competition organised by the Nigerian Institute of Management (NIM) in collaboration with leading telecommunication services provider, Airtel Nigeria. Egena who represented the North Central Zone was declared winner in the national final of the competition, which took place at the NIM Head office Lagos at the weekend. Egena's victory came after an eight-man panel of judges assessed all six finalists representing the six geopolitical zones. Enemodia Ernest, from the South-South Zone emerged the first runner up while the only woman who made it to the finals, Maryam Bello (North East) was adjudged second runner-up. Olugbenro Oyekan (South-West), Chikere Onyechigoziri (South East) and Bello Saidu (North West) came 4th, 5th and 6threspectively. Mr. Egena won the star prize of a brand new car plus N150, 000 cash prize, while the second and third contestants were rewarded with a laptop plus N100, 000 cash prize each, while the last three contestants received consolation prizes. The first three winners will be presented with their prizes at the opening ceremony of the 2013 Annual National Management Conference of NIM scheduled to hold on Monday 16th September in Uyo, Akwa-Ibom State. The President and Chairman of Council, NIM, Dr Michael Olawale-Cole, in his address expressed gratitude to Airtel for giving huge support to NIM and for the sponsorship of the 2013 Young Managers' Competition. He said 'Airtel, aside providing funds for the purchase of the Star Prize of a brand new car for the winner as well as prizes and cash reward for the first and second runners up, staked its hard-won corporate image by endorsing and sponsoring the competition, commending the Telco for its many contributions towards the developments of Nigerian youth'. In his remarks, Segun Ogunsanya, Chief Executive Officer & Managing Director of Airtel Nigeria, stated that Airtel was committed to creating credible platforms for the development of Nigerian youth. Ogunsanya, who was represented the company's Zonal Business Manager, Lagos Metro, Ayo Ogunranti, assured that Airtel will continue to throw its weight behind laudable initiatives for the youth even as he commended all the winners and those who participated in the competition. Also speaking during the event, star prize winner, Mr. Egena expressed his appreciation to Airtel Nigeria and NIM for their efforts in encouraging young Nigerians through the initiative. 'I want to thank Airtel Nigeria for the robust sponsorship; without Airtel, we will not be here today. When other sponsors are concentrating on other areas, Airtel is looking at how it can develop the mental capacity of young people. 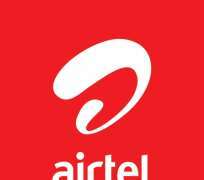 I thank Airtel for this and they have, by this singular action, completely won my heart for life', Egena stated. The Young Managers' Competition, established by the NIM in 1974 was instituted for the primary purpose of encouraging participants who are endowed with creative and research abilities to hone their skills through conducting independent in-depth research into management related issues with a view to proposing new solutions. In addition, the competition was established to discover and support young men and women who distinguish themselves in conducting studies in different areas of human endeavour with the hope that such propositions would help development in all its ramifications.